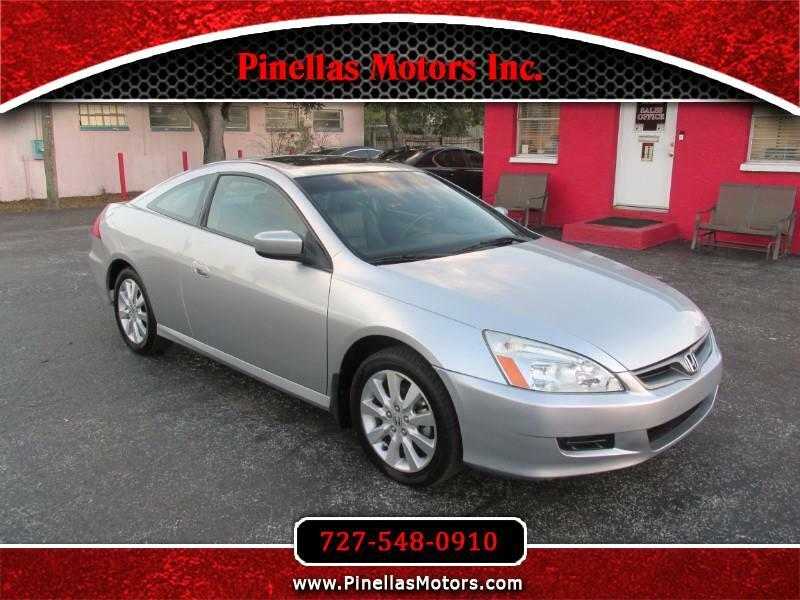 Used 2007 Honda Accord EX-L V-6 Coupe AT for Sale in Pinellas Park FL 33781 Pinellas Motors Inc.
***LOW MILES, ONLY 60K! *** This 2007 Honda Accord Coupe EX-L V6 comes fully loaded with a sunroof, leather, power driver's seat, windows, and mirror, and much more! It's super clean inside and out. If you're looking for a RELIABLE, LOW MILEAGE car that you can LOOK GOOD in and afford, look no further!